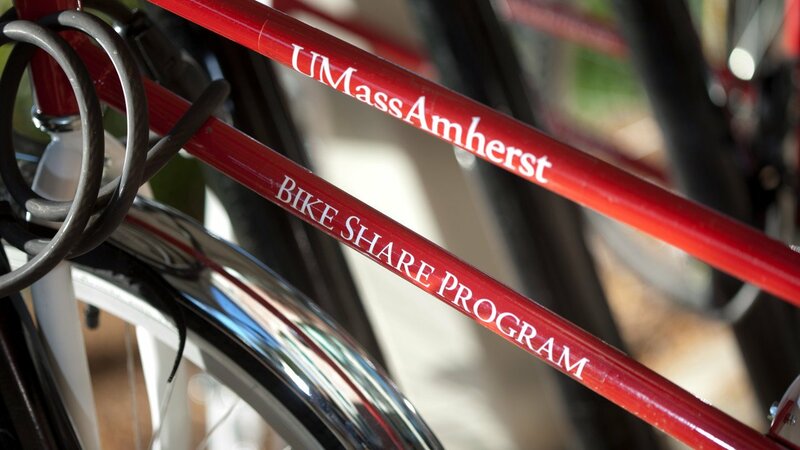 The UMass Amherst Bike Library rental program provides free bicycles to students, faculty, and staff. UMass Amherst, along with the Pioneer Valley Planning Commission (PVPC) and the cities of Springfield, Holyoke, South Hadley, Northampton and the Town of Amherst are launching ValleyBike in June 2018. This program is a service of Parking Services and Transit Services. UMass Amherst encourage students, faculty, and staff to share vehicles whenever possible and even offer incentives for those choosing to carpool. Drivers of electric vehicles have easy access to electric charging stations across campus. UMass Transit operates the PVTA buses for the Five Colleges as well as nearby cities and towns.